Here’s your history lesson for the day. Following this endorsement of President Smith’s October 3rd vision by Church leaders, the revelation was published in the December 1918 issue of the Improvement Era magazine and in the January 1919 issue of The Utah Genealogical and Historical Magazine. It wasn’t until 57 years later, at the April 1976 General Conference, that President Smith’s vision was presented to the general membership of the Church to be accepted as Scripture and approved for inclusion in the Pearl of Great Price. In June of 1979 the First Presidency of the Church announced that the vision would be removed from the Pearl of Great Price and added to the Doctrine and Covenants as Section 138, where it remains today. I find it curious that this revelation — from God to His prophet (from the LDS perspective), written down, regarded as true by top Church leaders, and made public — was not actually presented to members of the Church (to be adopted and accepted) until more than half a century later. I also wonder about the other “divine communications” which President Smith said he received in 1918. Only one (to date) has been canonized. Perhaps sometime in the future some of his other revelations will be presented to Church members for their approval and acceptance. This entry was posted in Mormon Scripture. Bookmark the permalink. Worshipping the Bible. This is an interesting point, and perhaps true. But the Bible, at least is consistent. What we read 100 years ago is the same thing we read today. Sure, different translations have come out, but by and large it is the same thing. The prophecies of the LDS leaders are actually cotnradictory, so given a choice, I’d take the relying on the Bible. But we are to woship God, as described in the book, and the best way to learn is to read. I would still like an answer about which medium the Holy Spirit delivers knowledge and truth to you. I like this analogy, so lets use it. Lets say your very emotional and spiritual confirmations through prayer and personal experiences is the bricks of that “house”. Tell me Seth, what is the wood? If this were the house that I built. The bricks would be the holy spirit opening my eyes up to truth found in God’s word, and the Wood would be the evidences God has given us for the existence of Jesus Christ, and the divine inspiration of his word, the Bible. We have tangible things to support the creation of the scriptures and tangible evidence to show that the people/locations mentioned in the Bible existed. We have prophets far from each other in time and in geography all agreeing on Holy matters. If your saying that the LDS church has “wood” supporting the foundation of their house (beliefs/scripture), then I ask, where is it? I honestly don’t know what else there is besides your own personal testimony’s. You guys are picking one side of the Mormon equation and hammering it to make a point. Sure a testimony is an emotional thing for Mormons. But it’s also a very reasoned thing for Mormons as well. For this missionary, at least, his investigators were not taught to reason, but to feel. Just to clarify, everybody (except moderators) have a 3 comment/day limit. Please see the Comment Policy. The limit is designed to get more folks participating, and it seems like it’s already working. The trade-off, of course, is that two people can’t have a full-blown conversation beyond the limits. But imagine having a dozen people in your living room. Would you really want two or three people in that setting always dominating the whole conversation? Well what I’ve learned here is that the Mormon prophets present and past are either treated by the brethren with great piety or as crazy uncles they need to keep locked in the attic. The latter when they make these goofy off-the-wall pronouncements and the former when the group finally votes to affirm the prophet’s words. Some prophet! From where I sit, this claim about having a living prophet is pretty shallow. Seth wrote: “You guys are picking one side of the Mormon equation and hammering it to make a point. Sure a testimony is an emotional thing for Mormons. But it’s also a very reasoned thing for Mormons as well. Back to the question about when or if a prophet’s words are added to the LDS ‘Canon’. We are taught in both the Bible and LDS church that the scriptures come from God through ‘holy men’ when they have The Spirit with them. A common idea through the LDS church (I am not sure if this is from the general authorities or not) is that the Conference issue of The Ensign should be used with our scriptures until the next conference. The words in them are to be treated as scripture for the next 6 months as they are from holy men who are speaking with the power of The Spirit. So from this, anything the prophet says when the Holy Ghost reveals/prompts him can be classed as scripture whether it is ‘canonised’ or not. 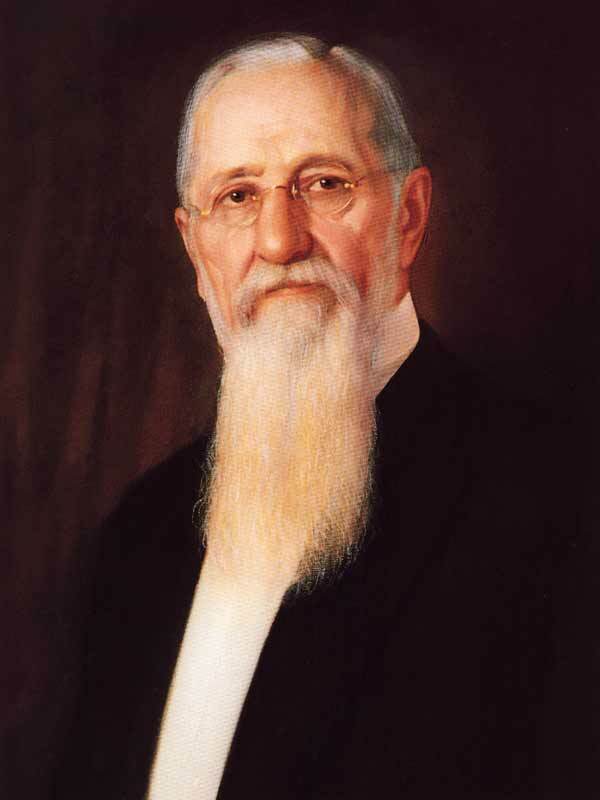 As for why the above revelation was added to the LDS ‘canon’ was probably because God wanted it to be and so He told the general authorities to do it. And from my understanding – the ‘voting’ by the church membership was not whether to include it in the scriptures or not (that choice was already made by God) but for them to ‘show’ to God in front of witnesses that they sustain it as scripture and will live by its principles. This is why for the past few years we are learning from the words of our prophets in Priesthood and Relief Society. Personally I find General conference to be useful as “inspired commentary” on scripture. The commentary can be considered authoritative for the people and generation to which it was delivered. As old generations pass away and new ones arise, the needs of the listeners change, as do their circumstances and their world. God’s specific message to the listeners of one generation may be different than the message to another generation. For example, as single adulthood grows more and more common within the Church, and Mormons are marrying later and later, the prophetic message on families can be expected to be adapted in non-essentials to effectively address the needs and concerns of the listeners. 2. An awareness of what the prophet is saying today (and not just the juiciest tidbits that happened to push your buttons – all of it). 3. An awareness of what the prophets have said in the past. All of this has to be read as one continuous narrative. This is why most Mormons, and virtually all anti-Mormons are unqualified to give a comprehensive definition of Mormon orthodoxy. You (and we) simply haven’t read enough. But that’s OK by most Mormons, since we don’t usually care much about orthodoxy one way or the other, preferring instead to focus on orthopraxy. Most Mormons see Brigham Young’s odder statements as interesting, but not really crucial for the work of life and salvation one way or the other. I’d like to respond to Jeff B, but I’m at my comment limit for today. Catch you later. Seth’s and Ralph’s comments have given me a lot to think about. This makes a lot of sense when I think about the conversations I’ve had with LDS friends. When we have faith discussions, I tend to focus on orthodoxy while they talk about how they live as a Mormon. It frusterates me. For me, orthodoxy is front and center. This doesn’t mean orthopraxy is less important by any means. But like the passage in John where Jesus talks about being like the vine and his children being the branches, my daily living (orthopraxy) flows from my faith in Christ (orthodoxy). Does anyone have any comments about whether the Mormon system of orthopraxy over orthodoxy is Biblical? In any case, if one is earning their way to the CK than orthopraxy would make a lot of sense. Unfortunately, I think modern evang. don’t focus enough on their daily living. People tend to think, “oh, I’m saved, and God will forgive me.” God needs to be taken seriously. Megan, I’d recommend an older post on the notion that practice is somehow more important than theology. I take the position that the only worship and practice acceptable to God are worship and practice driven by a theology of who God really is and what he has promised. Anyways, a larger discussion on faith and works doesn’t belong here. Save it for a more pertinent thread. Sorry guys.